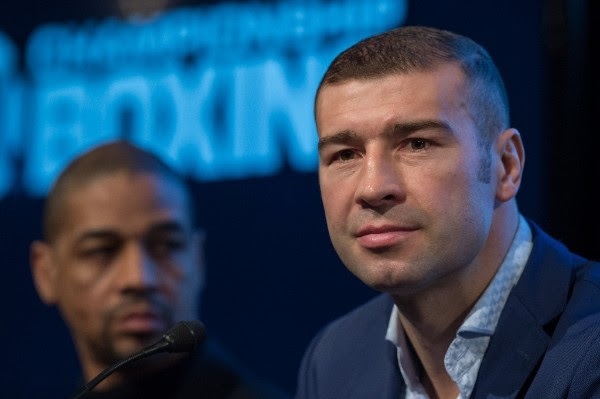 (Credit: Vincent Ethier / InterBox) MONTREAL, April 7th 2016 – A press conference to discuss the WBC super-middleweight world championship bout between Lucian Bute and Badou Jack was held Wednesday at the Bell Centre La Cage – Brasserie sportive restaurant In Montreal. Here is what the participants had to say. Tickets for the live event, which is promoted by Mayweather Promotions and InterBox in association with Matchroom Boxing, are priced at $200, $100, $50 and $25, and are on sale now. To purchase tickets visit www.ticketmaster.com, Ticketmaster locations, or call (800) 745-3000.